As we look back on Belize’s 34 years of independence and prepare to celebrate yet another year of peace and prosperity, it is only fitting that reflect the efforts that have gotten us here. It was Monday, September 21, 1981 when the Union Jack was lowered and the Belizean Flag rose, signifying that Belize was no longer a colony of Great Britain. A British Crown Colony since 1862, brave men and women struggled for almost two decades to bring a new era to the people and today we have dedicated an entire month in their honor. While the road to independence was not a bloody one like that our Central American and Mexican neighbors, it did present challenges. 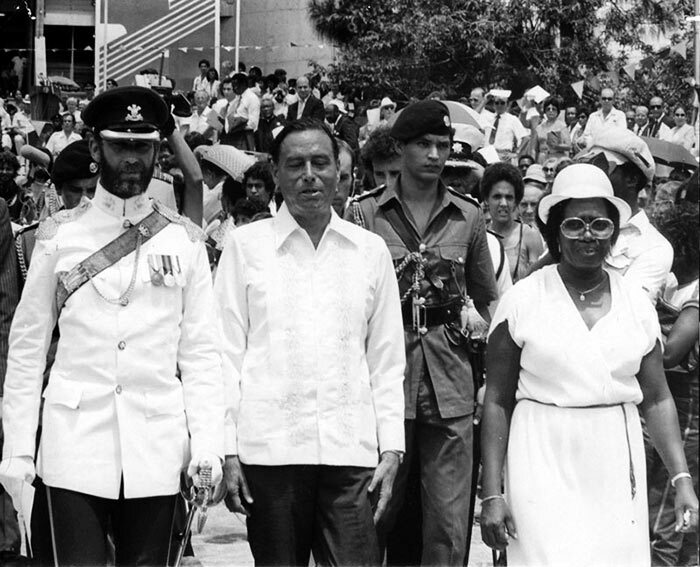 For many years, the Belizean, at the time British Honduras, Government largely left matters up to the British. The Government under the administration of Premier George Price, leader of the Peoples United Party (PUP), was the first to start a campaign for Independence. He believed that if Belize could rally sufficient international support independence would soon come. But Belize had one major issue to settle and it was the looming invasion threat from Guatemala over a claim to southern most Belizean territory. With the help of National Heroes such as Antonio Soberanis, Monrad Metzgen, and Philip Goldson, British Honduras became Belize, a fully independent nation recognized by the United Nations (UN). The journey climaxed in November 1980, when the United Nations (UN) passed a resolution that called for the secure independence of Belize, with all its territory, before the next session of the UN in 1981. It further called on Britain to continue to defend Belize. The vote was overwhelmingly in favor, and it is interesting to note that for the first time even the United States of America voted in favor. The Organization of American States (OAS), which had previously taken Guatemala's side, now fully endorsed the UN’s resolution. But Britain still refused to provide a defense guarantee, insisting that greater efforts be made to reach a settlement on the Guatemalan claim. 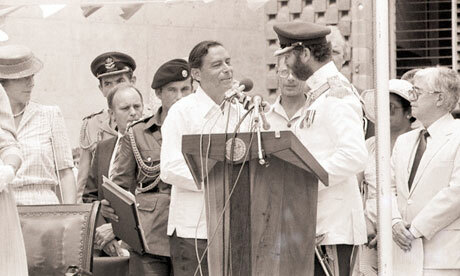 Talks began in early 1981, resulting in a document popularly called the "Heads of Agreement" signed between Britain, Guatemala and Belize. The Belizean people, suspicious of any terms that would amount to land cession, rejected the document causing several days of rioting and the declaring of a state of emergency. It was expected that an agreement would be reached in future negotiations, but as time passed Belize and Guatemala were unable to agree on all points.The decision was taken, with the consent of the British government and the support of the international community, to proceed to independence and to continue efforts thereafter to develop peaceful and friendly relations with Guatemala. In July 1981, Britain agreed to maintain presence in Belize for an appropriate period to guarantee its defense. On July 26, 1981 the Belize government announced the date for Belize's independence as September 21, and on that date in 1981, Belize became an independent nation and in Belize City, as well as towns and villages all over the country, a midnight flag raising ceremony was held.